In the first edition of A Brief History of Time Stephen Hawking famously averred that “Someone told me that each equation I included in the book would halve the sales”. This seems to be a common view among publishers of maths books for a general audience: too many symbols will frighten people off. Equations make a book look “difficult”. This misses the point of them, as Hawking knew very well: mathematical notation is just a shorthand. It’s designed to make things easier, not harder. But like the notations used by musicians, choreographers, chess players and practitioners of crochet, you have to learn to read the runes. And as with those notations, it’s really not as hard as it looks at first. 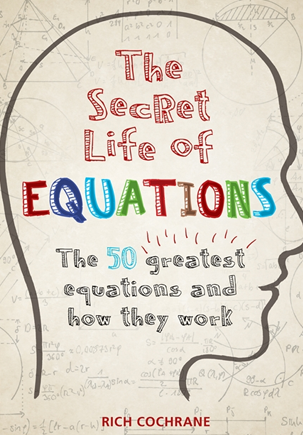 For my new book, The Secret Life of Equations, the publisher took the opposite route to Hawking’s. They asked for lots and lots of equations. So instead of hiding them away like an embarrassing uncle, this book puts the spotlight on them, breaking each one down into its constitutent parts and demystifying them. The book is completely uninterested in how “advanced” something is supposed to be. Among the fifty equations are some very simple ones and others that are extremely complicated. In each case, it calmly dismantles the notation and explains what’s going on. The book doesn’t make any assumptions about the reader’s expertise. 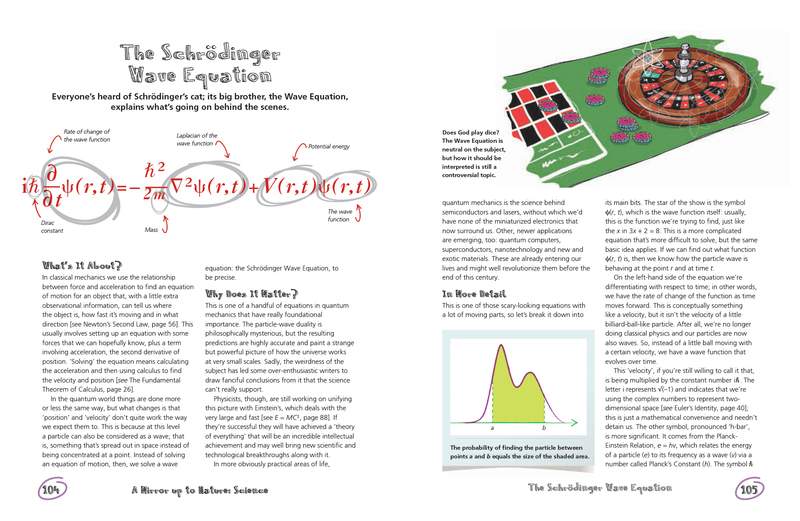 You can jump in and read whichever section interests you, or follow it in order and pick up some knowledge of subjects like calculus and probability as you go. 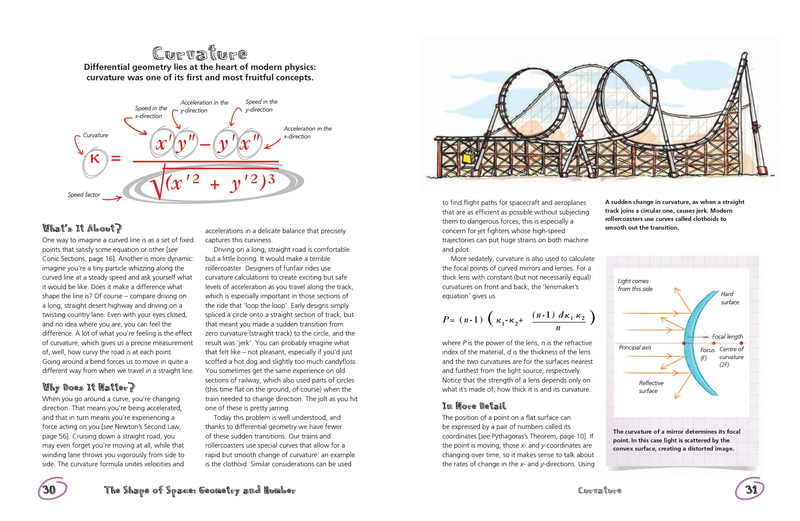 Most sections refer you to other sections, showing how these equations join up into a web of ideas about geometry, number, science and uncertainty. 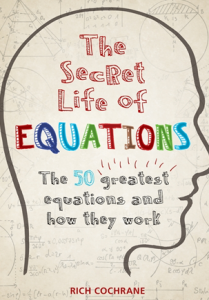 You can leaf through The Secret Life of Equations on Google Books. It’s published by Octopus in the UK, Firefly in the US and Dunod in France.